There’s a simple form for existing customers to fill out at https://www.scottishfriendly.co.uk/recommend. Pop in your own details and those of the friend you’d like to refer. Please get their permission beforehand. Once they’ve signed up and paid their first premium you’ll get your giftcard within 28 days. You’ll receive an email once your friend has filled out the referral form. Use the links inside the email to sign up for a new account. Within 28 days of paying your first premium you’ll receive your gift card. They’re redeemable at loads of places, including The Apple Store, John Lewis and Amazon. 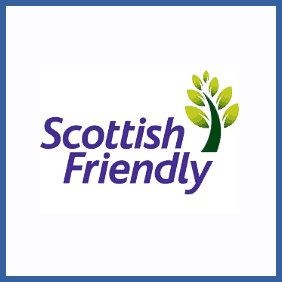 Investors with Scottish Friendly can fill out a simple form to refer their friends as potential new customers. Should any of them sign up and pay their first premium you’ll both receive matching My Rewards cards worth £25.00.